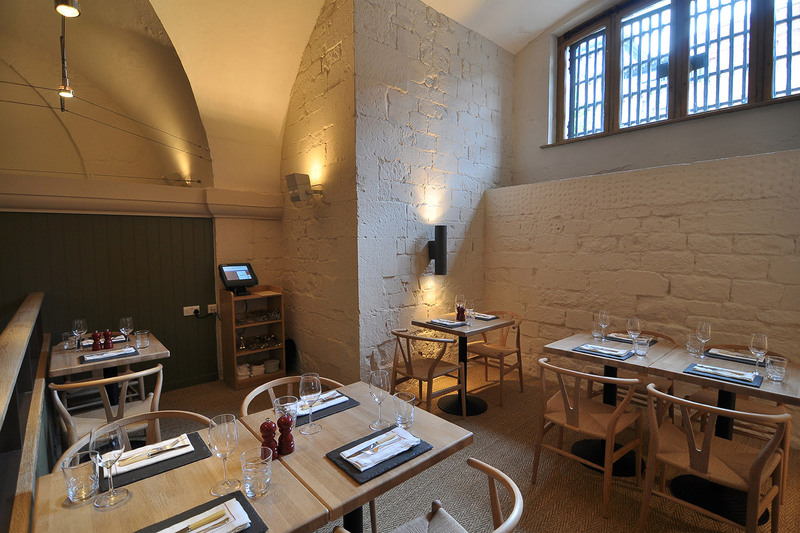 Our brief: to design a new café and restaurant in the Crypt at St Paul’s Cathedral. Remodelling the existing spaces of this Grade I listed building and Scheduled Ancient Monument required close liaison with the Surveyor of the Fabric and the Clerk of Works to the Cathedral. A new mezzanine level was created to harmonise the various existing levels. Signage was rationalised down to a succinct, coherent and informative description of the café and restaurant offer. A painted screen was installed to mask kitchen activity, though still allowing partial views in from the restaurant. Oak furniture, rush and tweed upholstery and 17th Century replica artworks were carefully selected to underpin the ‘Best of British’ theme. A timeless, sensitive solution results in the Restaurant and Café working better and attracting new clientele.